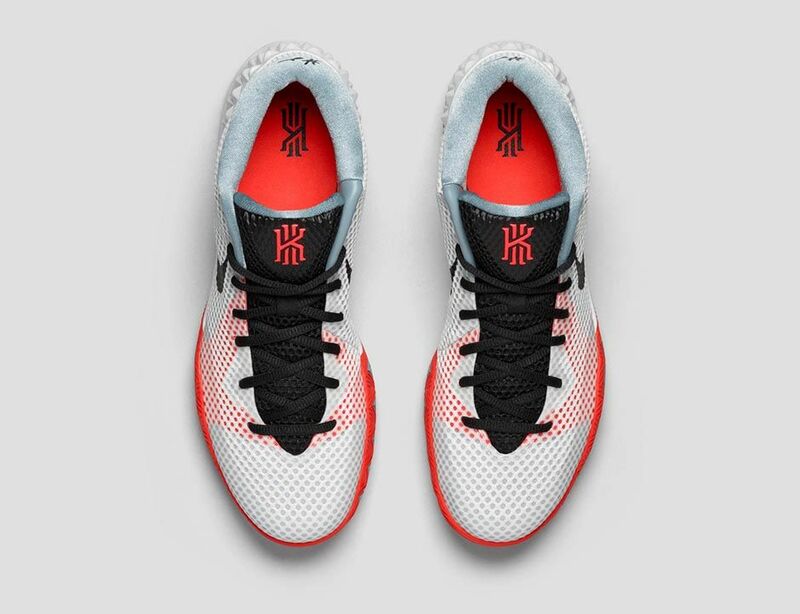 As the Cavaliers continue to roll in the playoffs, Kyrie Irving’s signature rolls out more colorways including the Nike Kyrie 1 ‘Home/ Infrared’. The eye catcher on this sneaker is the shark tooth traction that rides up on the midsole, which is meant to mimic Irving’s aggressive play on the court. 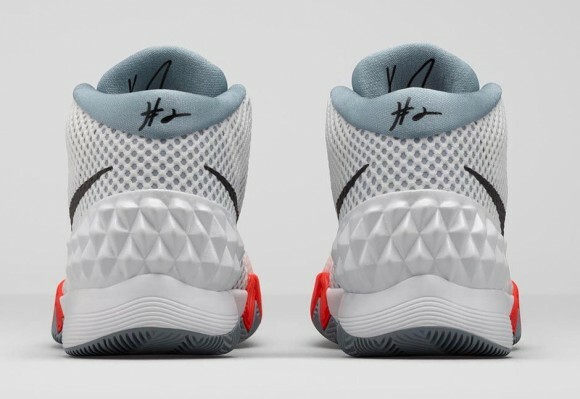 While not an exact match to the Cleveland Cavaliers colors, the shoe is meant to mimic the home whites that fans wear to the game. Infrared hints provide a familiar pop reminiscent of the days MJ laced up the Jordan 6, while Dove Grey and black complement the loud color throughout. 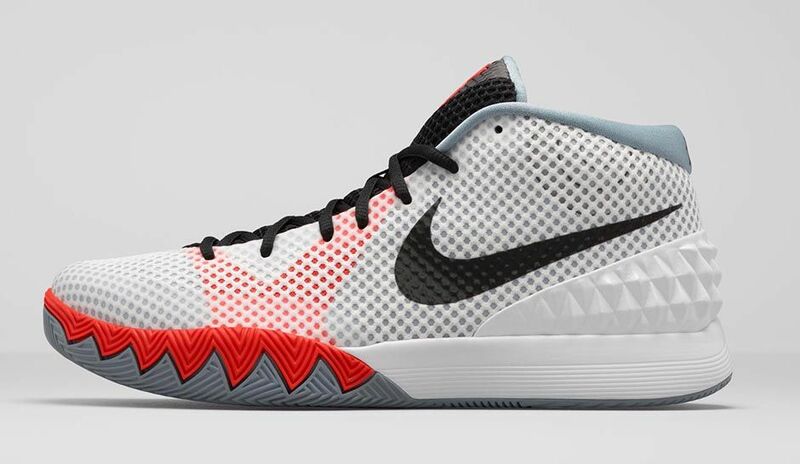 You can pick up the Nike Kyrie 1 ‘Home/ Infrared’ for $110 at the retailers below starting at 10am EST on April 24. Update 2: after a delay, they are now available on Nike Store. Idk man I hopped in kyrie m thought similar to a older rose I can’t say as good as the 3 def not 2.5 n different still. The heeel cup reminds me of Melo 10 left over. I don’t like the shoe, this cw is nice older debate dame wins the 1v1 kick n on court matches in my eyes. Try moving kyrie nndame imagine team records.. Dame keeps seeming the better as does his shoe. Boost improvements are killing soon, bounce will be more like basic air or jetlin micro g flightplate boost or get full length zoom air hyper rev 2014 w the 15 traction. 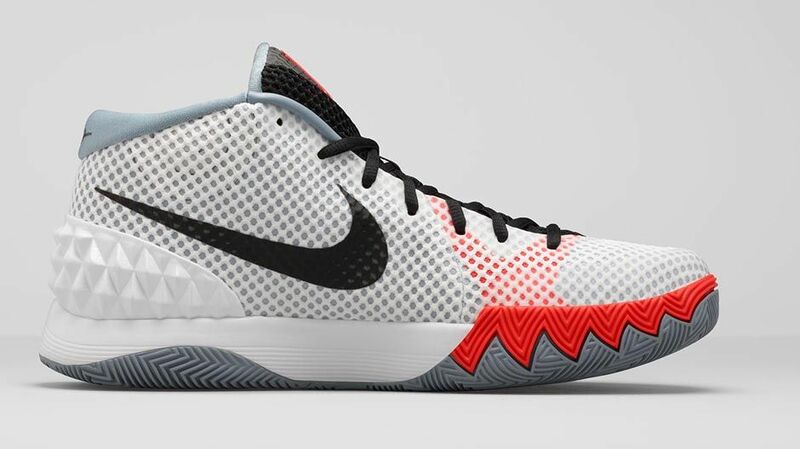 Idk I like hyper rev 14 over kyrie.